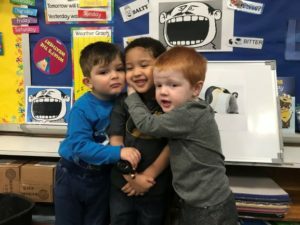 Welcome to Nursery B — We have class Monday through Friday. 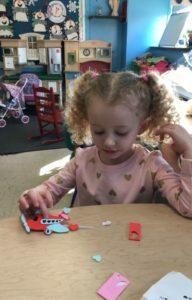 and made these very cute crafts our parents. 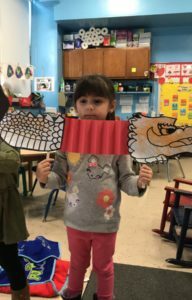 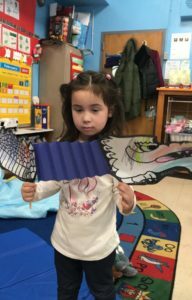 We learned all about Chinese New Year and made these really colorful dragons! 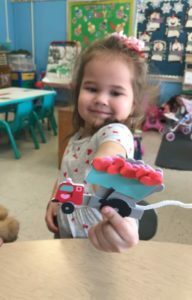 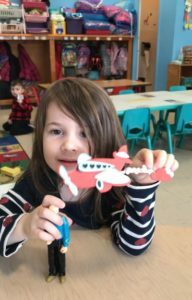 VALENTINE’S DAY was spent making these adorable crafts with LOVE and sharing Valentine’s Day cards and Valentine’s treats at our party. 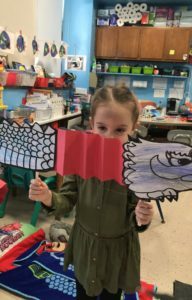 We learned about Chinese New Year and made these colorful dragons. 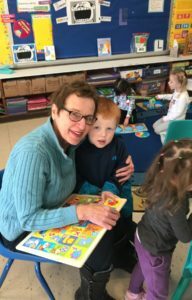 We had two very special grandmothers join us today for Grandparents Day. 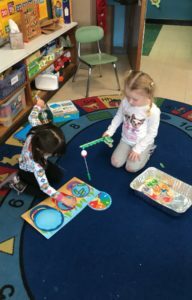 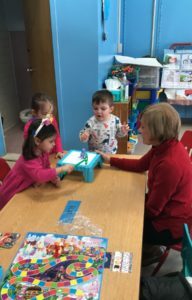 Thank you to Ryan’s grandma and Mia’s grandma for bringing us games to play and especially for helping us learn how to take turns and follow the rules of our games. 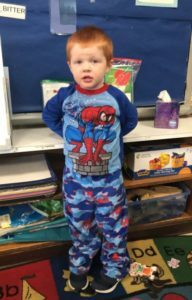 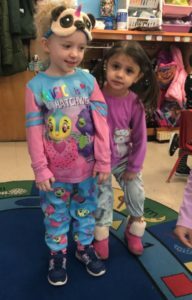 PAJAMA DAY made nap time so much more comfy! 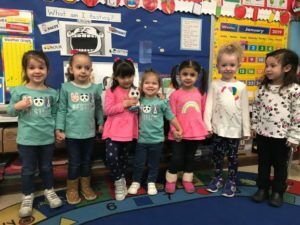 Nursery twins and triplets are so stylish!